Keep in mind that wood chopping boards must never be washed using dish soap, because toxic substances found in the dish detergent may get deep into the wood fiber, especially if it has knife cuts. Moreover these toxic substances may get into food, meat and vegetables. Use only natural solutions to clean and disinfect them. I love wood chopping boards, especially the bamboo ones, because they resist over time. The nasty thing about them is that the onion smell gets deep into the wood, and it’s pretty hard to remove. Anyhow, if you use the powerful action of lemon, this onion pungent smell will be a bad dream, along with other hard-to-remove stains. To remove superficial meat or vegetable stains, you can use salt and lemon. Sprinkle a generous salt layer onto the wooden shredder, and then rub it well with half a lemon. It will whiten the wood instantly, and it will also disinfect the wood fiber in depth. For more difficult to remove stains such as blood, tomato, beets or red cabbage stains, use baking soda and vinegar. Apply a layer of baking soda over the wooden shredder, and then pour vinegar over it. Let the two solutions work for a few minutes, and then rub vigorously with a sponge and wash the wood chopping board under the hot water jet. When it gets dry it will look almost like new! When the wooden shredder starts to smell really badly like onion and garlic, it’s enough to rub it thoroughly with mouthwash. 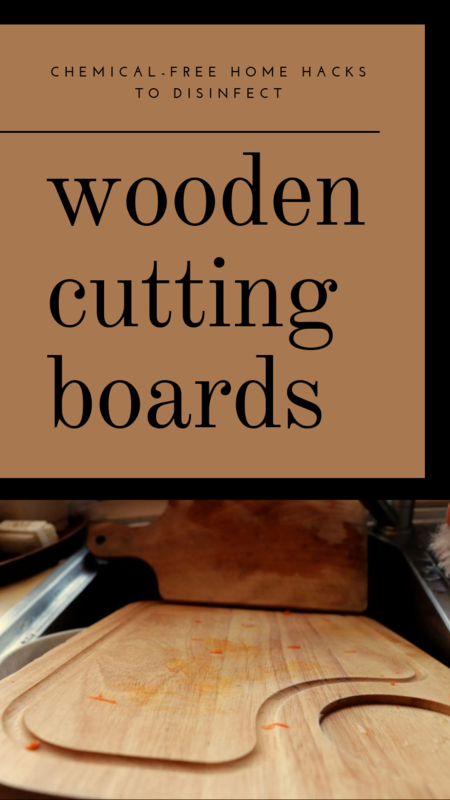 It will completely remove any stains and it will also disinfect the wooden chopping board. At the end, rinse well with hot water!